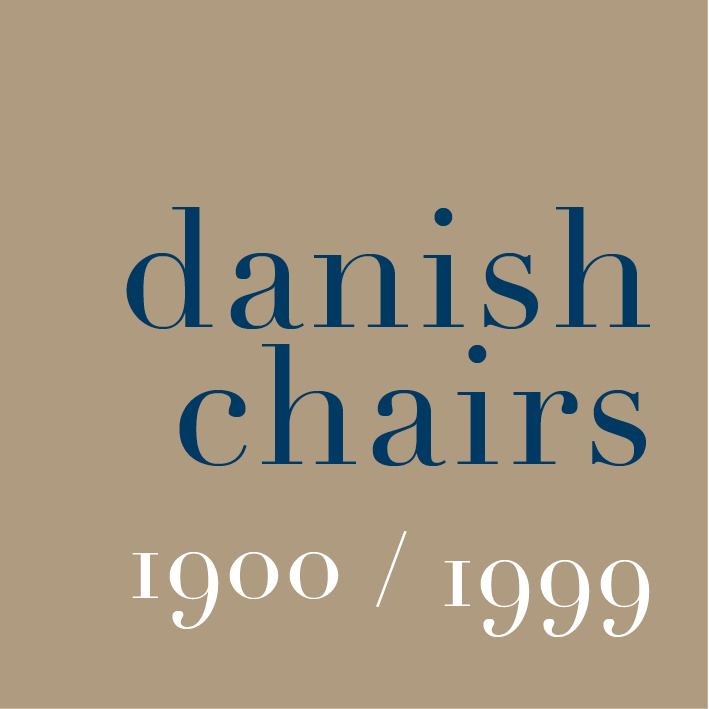 Considered to be a development of the form and style of The Round Chair but more compact with short elbow rests rather than the longer arm rests of The Round Chair or the later Bull Horn Chair. This means the chair can be pushed in closer to the table and it is easier to get up from the chair when sitting at the table. The front legs stand proud of the seat and are rounded. 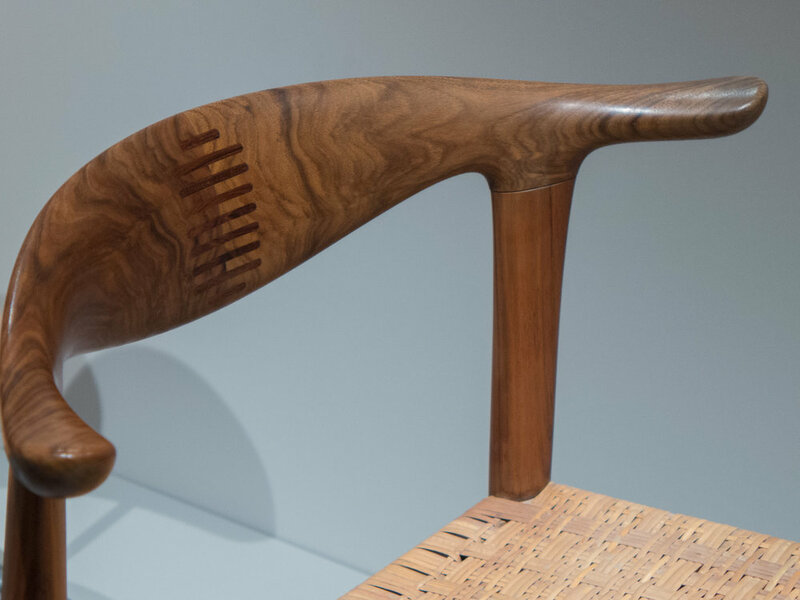 The cane and, in the upholstered version, the leather covering the seat are taken over the rails of the seat in the traditional way. The two pieces of timber for the back are cut in line from the same plank. 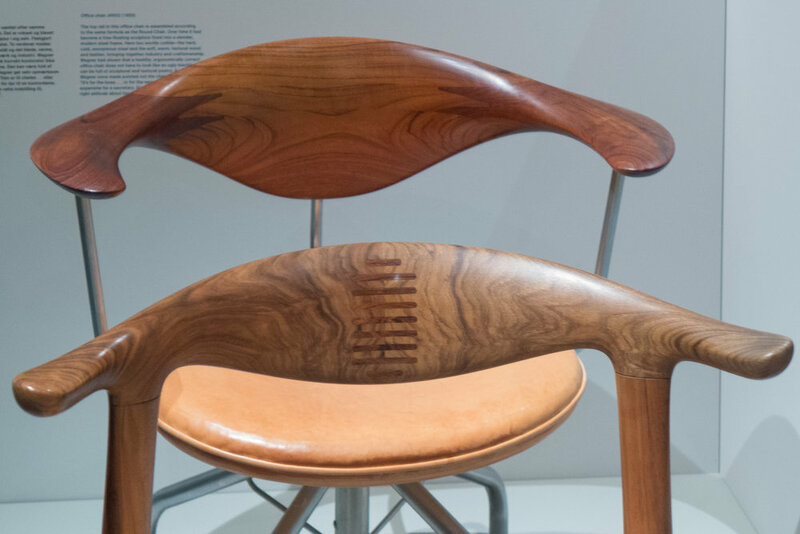 Joining timber end to end with grain exposed is weak so here the join is reinforced with tenons cut from a contrasting wood to make this a distinctive and decorative feature of these chairs.